Rogue Equine Hospital offers compassionate, personalized equine medical care in Southern Oregon and Northern California. We are dedicated to improving the lives of horses and their owners by providing exceptional client service and offering horse owners and other equine professionals ongoing education on cutting edge healthcare issues. Our veterinarians at Rogue Equine Hospital collectively represent over 80 years of clinical experience in equine medicine and surgery. This experience combined with a caring, well trained staff enable us to provide exceptional client service. Three equine veterinarians and four support staff provide 24 hour intensive care in our 6000 square foot hospital. See more about our facility below. We improve the lives of our equine patients and their owners by providing individualized, expert, and compassionate care. We take the time to listen and customize our services to meet the individual needs of both our patients and their owners. We keep abreast of new developments in the equine medical field, updating technology as well as pursuing advanced certifications in such innovative treatment modalities as chiropractic and acupuncture. We offer the most advanced and well equipped facility in the Southern Oregon and Northern California area, the only equine facility offering surgical and advanced reproduction services. We lead the way for equine owners and other equine professionals by offering cutting edge, local equine educational opportunities. Our online services offer rich public informational resources, purchase of prescription medications and health supplies, quick client access to medical records, newsletters, and webinars on a wide variety of educational topics. We engage in topical and relevant community awareness campaigns on issues important to the health of equines. Dr. Ferguson grew up on a farm in the Tri-Cities area of Central Washington and in a small New England town. Undergraduate studies were done at Yale University, Washington State University, and the University of Washington. He received a bachelor of science in zoology from W.S.U. in 1975, and his DVM from W.S.U. in 1980. Dr. Ferguson became certified in animal chiropractic by the American Veterinary Chiropractic Association in 2001. Areas of professional interest include equine chiropractic, dentistry, and lameness. Outside interests include golf, travel, and raising horses with his wife, Birte on their farm in Eagle Point. Dr. Timmons is a native Oregonian, originating in the Pendleton area. His undergraduate studies were at Eastern Oregon College (now Eastern Oregon University), University of Massachusetts, Amherst, and Bachelor of Science from Eastern Oregon College – 1987. He completed his professional training at Oregon State University, Washington State University, University of Idaho and University of Tennessee, followed by his DVM from Oregon State University and Washington State University – combined program – 1991. 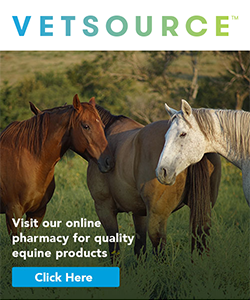 Dr. Timmons is an FEI Licensed Veterinarian – Endurance. His specific areas of interest include acupuncture, lameness, reproduction, surgery and medicine. Outside interests include fly fishing, horse and back packing, warm water diving and travel . 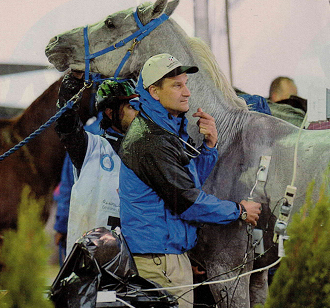 Dr. Timmons travels internationally for veterinary assignments at FEI level endurance rides. Dr. Alyssa Coulombe grew up in Alberta, Canada. She began riding at a young age through Pony Club and 4H before pursuing show jumping as her primary discipline and competing into her undergraduate years. She attended the University of Alberta for her undergraduate studies, majoring in companion and performance animals, and graduated with her veterinary degree from the University of Calgary in 2016. Dr. Coulombe then completed a 6 month equine internship at West Wind Veterinary Hospital in Alberta, and trained with several equine specialists during a year-long internship at Steinbeck Country Equine Clinic, a large referral hospital in California. 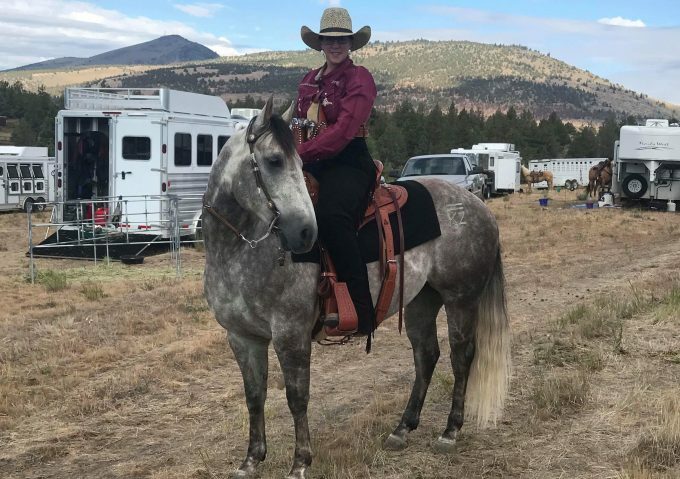 When not caring for her equine patients, Alyssa enjoys riding, skiing, exploring the mountains with her dog Nola and spending time with her cat Finnegan. Dr. Stephen Jenkins began his career shoeing primarily hunter/jumper horses during an apprenticeship under Kerry Zuest. During the apprenticeship he learned to shoe with handmade shoes to the American Farriers Association standards. Following this he worked under Michael Savoldi at the W.K. Kellogg Arabian Horse Center focusing on the morphologic changes seen in horses with pathology. Dr. Jenkins then went on to get his bachelor’s degree at Chico State University where he studied Animal Science before pursuing a dual Doctor of Veterinary Medicine/Masters of Science degree at Ross University School of Veterinary Medicine. His Clinical year was conducted at Oregon State Veterinary School. He has been authored in several original research papers, including two papers on the equine foot, and research describing treatment methods for a tickborne disease in dogs. Dr. Jenkins’ passion is the equine foot, with special interest in performance and geriatric horses with podiatry needs, especially those with existing comorbidities and metabolic diseases. Kamie was born and raised in Southern Oregon. She grew up competing in 4-H with her steers and was also involved in Oregon High School Equestrian Team in high school. She graduated from Crater High School in 2015 and is now working towards becoming a certified veterinary technician. 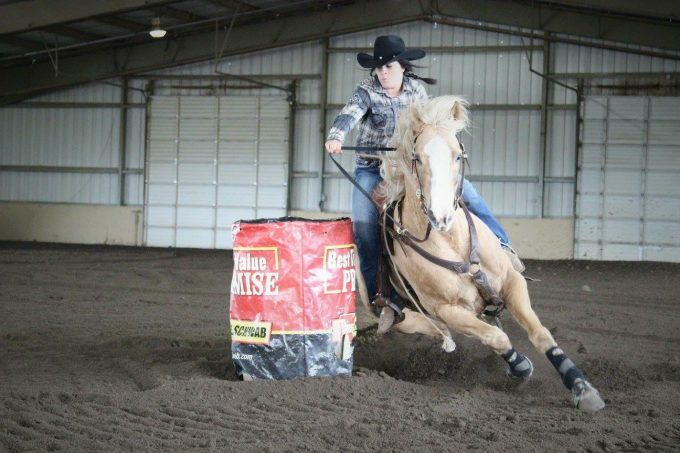 In her free time she enjoys hunting, fishing, and barrel racing with her mare Remi. Our facility is the most full-service veterinary hospital in the Northern California and Southern Oregon area. We provide 24 hour intensive care in a 6000 square foot facility. We have two large indoor exam areas, seven treatment stalls, one isolation stall, and a surgical suite with a separate induction/recovery stall. A separate reproduction barn is dedicated to stallion and mare services. The reproduction facility is USDA certified. All are supported by a full service laboratory. The information contained in Rogue Equine Hospital’s web site, and other media forms are for general information purposes only and not intended to diagnose, prevent or cure disease. The information is to assist in making informed choices to maintain your horses’ health in concurrence with the advice and direction from your equine veterinarian. By viewing this site you agree to Rogue Equine Hospitals disclaimer and hold harmless Rogue Equine Hospital of any errors, warranties of any kind, expressed or implied regarding accuracy and reliability with respect to Rogue Equine Hospital’s web site.